Enjoy the winter deal with one or two nights at the Riviera in Riviera Beach Hotel. Winter Deal is available starting from € 59.95 per person per night. Welcome in the Riviera Beach Hotel at the Cote d’Azur, a magnificent place in the south of France. It is also known as the French Rivièra. The Riviera Beach Hotel is a charming and serene hotel. 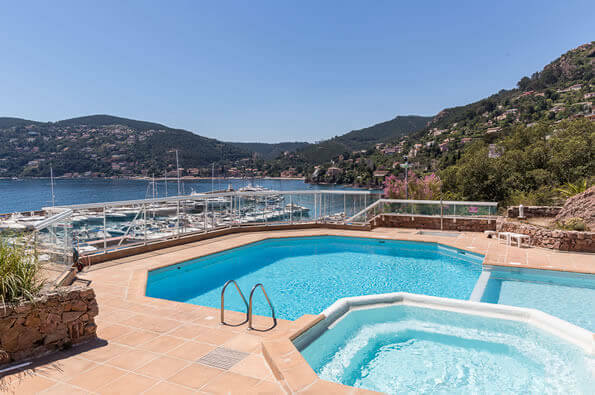 Directly situated at the sandy beach of Mandelieu-La Napoule and the marina of the Port de la Rague. 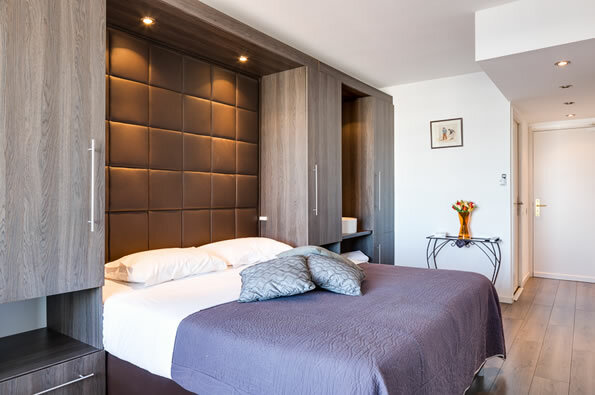 The hotel consists of luxurious hotel rooms and beautiful suites. 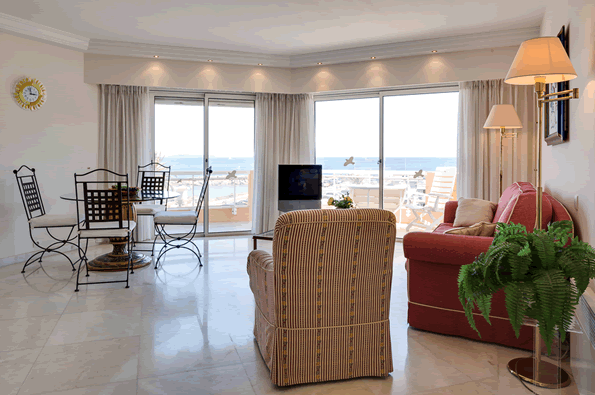 All rooms and suites as well as the large swimming pool that is situated on the 5th floor, offers you a great view over sea. Enjoy a delicious cappuccino or a cold drink in our cozy lounge. Live like a god in France? The Riviera Beach Hotel will guarantee a unforgettable and fabulous stay. All rooms at the Riviera Beach hotel are attractively decorated. They all overlook the sea and the adjacent marina. The rooms have a balcony and are equipped with a desk, flat screen TV, refrigerator, individual air-conditioning and wireless internet. The bathroom has a bath or shower and toilet. Don't feel like swinming in the sea? Riviera Beach Hotel features a large swimming pool on the 5th floor of the hotel. Here you can take a refreshing dip in peace. Then relax on your lounger and enjoying the stunning views over the azure sea and the adjacent land. 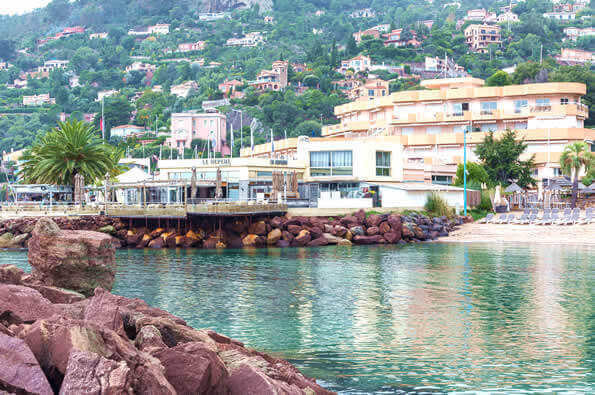 The Riviera Beach Hotel is perfect situated so close to the beach, directly at the Marina of Mandelieu-La Napoule; Port de La Rague.In the first weekend of April an international boat show is organized here every year. Facing the sea, Chateau de la Napoule accommodates the art collection of Henry Clews. In the exhibition halls they organize a variety of exhibitions.www.chateau-lanapoule.com.